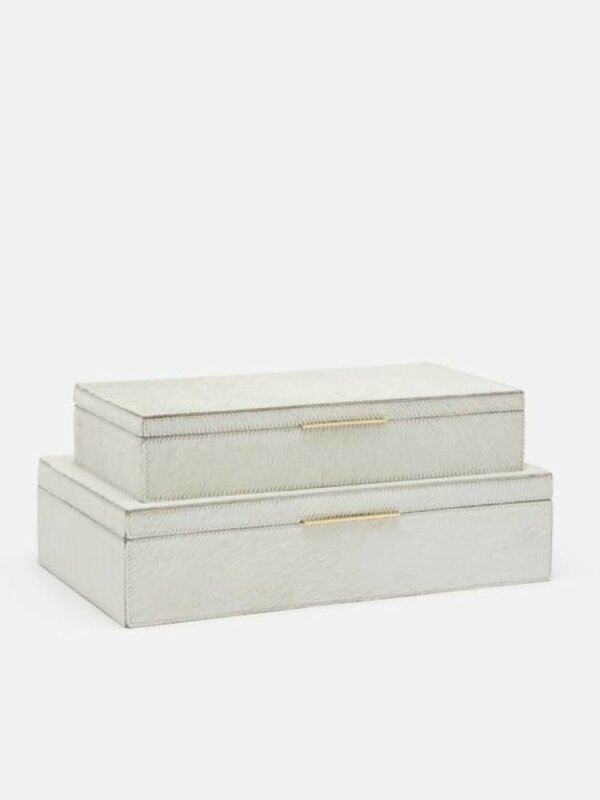 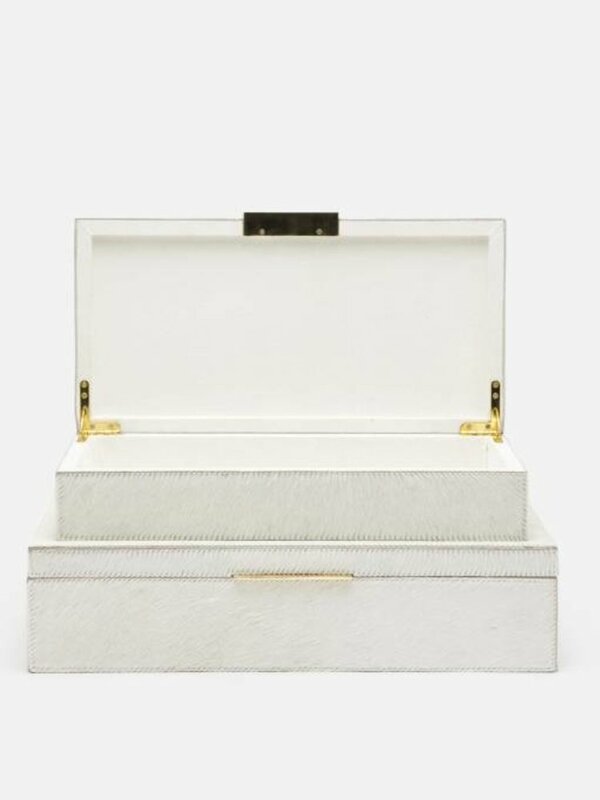 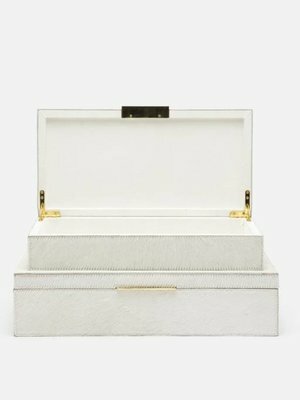 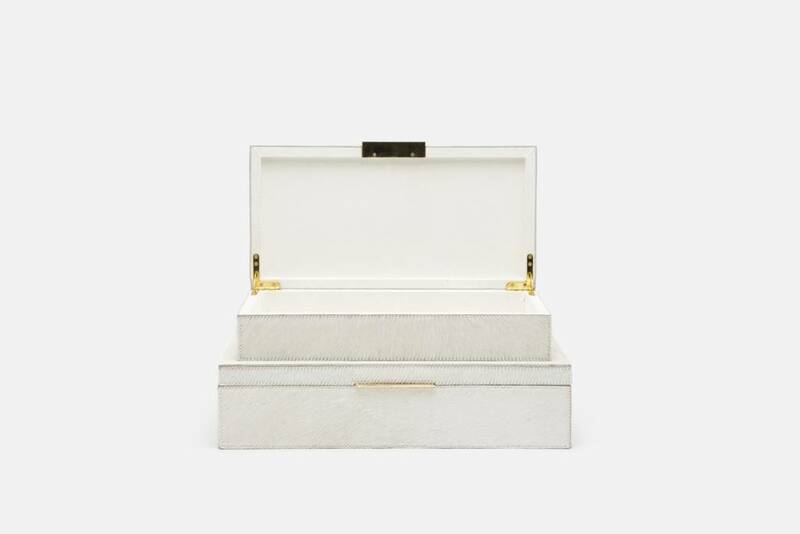 Stunning white hide boxes. 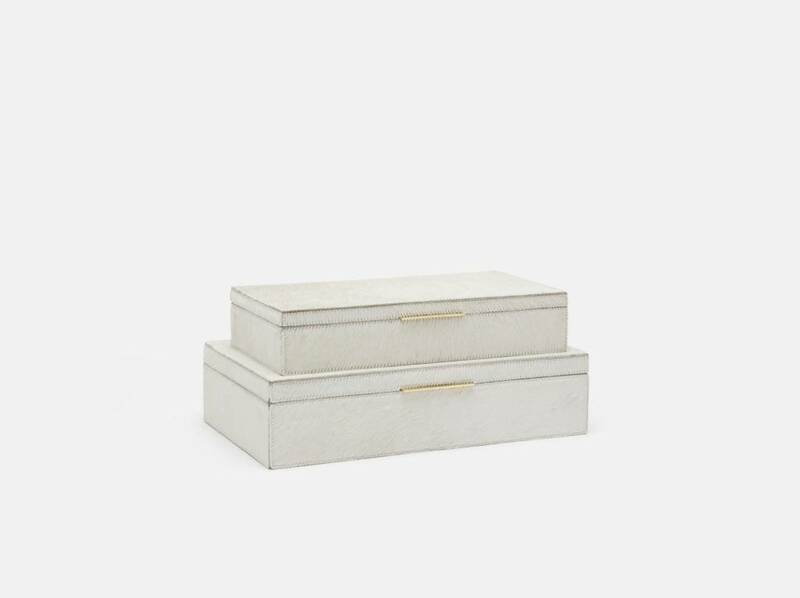 Perfect to store jewelry or as display on a bookshelf or coffee table. 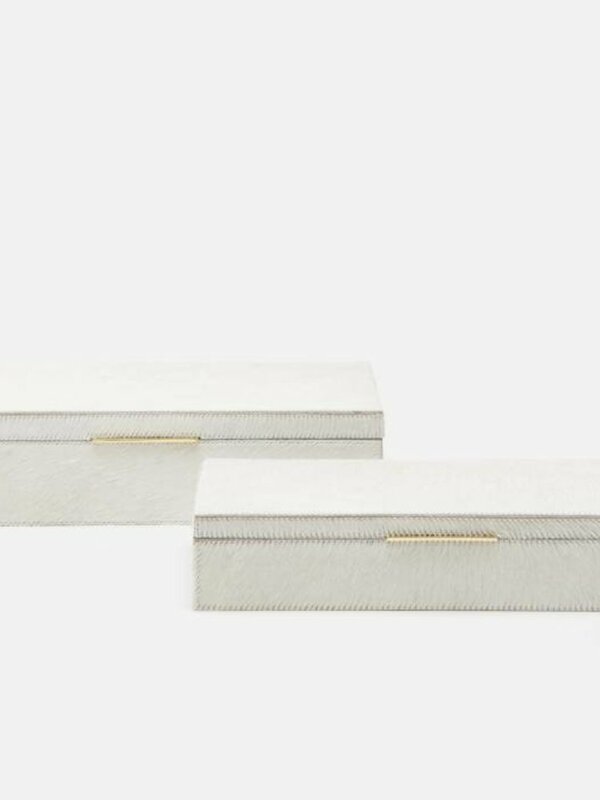 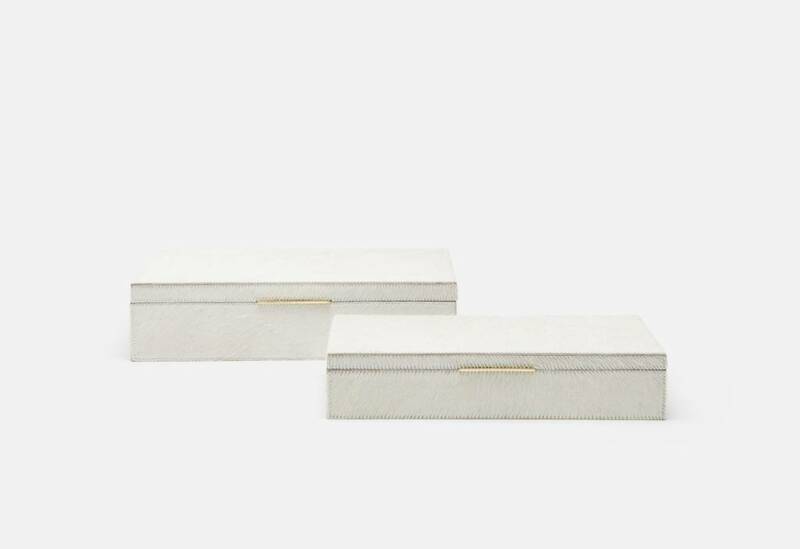 Neutral yet elegant these boxes will compliment any decor. The small box measures 13"x7" and the larger one measure 15"x9".